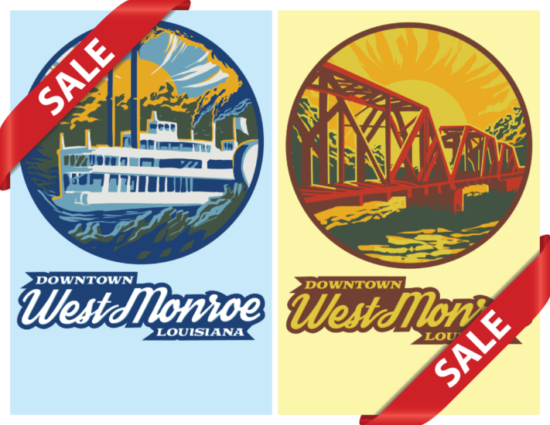 The Downtown West Monroe Revitalization Group is made up of dedicated community and business leaders who are dedicated to improving the downtown area in West Monroe for the prosperity of the entire city. Downtown areas are becoming a strong draw for young professionals and artists. Funds raised by Downtown West Monroe Revitalization Group will be used for the purpose of capital improvements made to the downtown area such as crosswalks, signage, facade grants and general beautification. To purchase a poster, please call the West Monroe-West Ouachita Chamber of Commerce at (318) 325-1961 or visit them at 112 Professional Drive, West Monroe, La. We are steadily updating and planning great things for Downtown West Monroe. Stay up to date with us by subscribing to our updates.